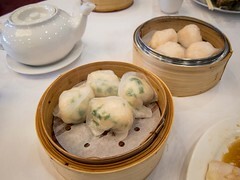 Low price, good quality dim sum is one of the few things that will get me out of bed at 9am on a Saturday. Unfortunately, many people feel the same way. This means, having to queue up before Richlane opens at 10am to guarantee a table during the first seating. 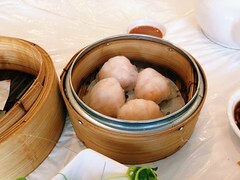 From 10am to 11am, all dim sum plates are priced at the cost of small ones. 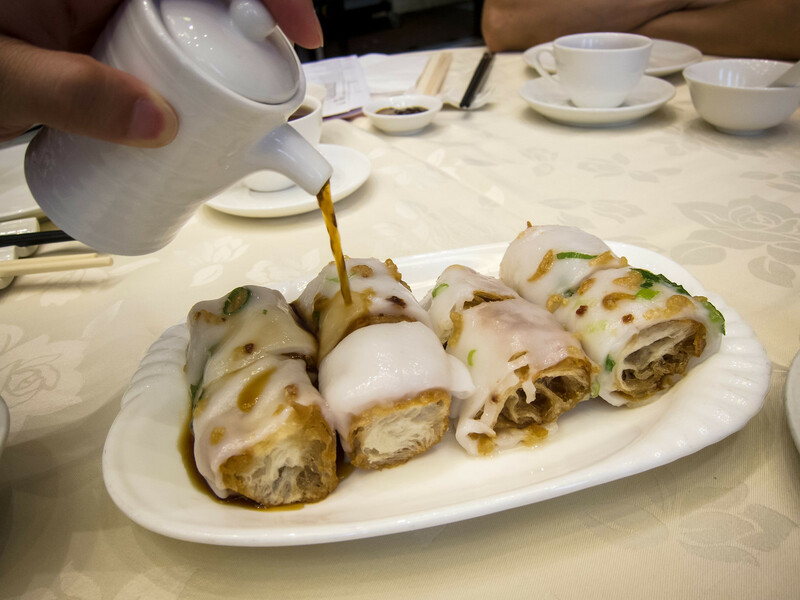 We found out on this visit, the same special pricing is offered during afternoon tea, from 2pm-4pm. Atmosphere: The building where Richlane was located looked like an office building, but the first floor was full of restaurants. Although the location was out of the way, this meant there was plenty of parking. I was surprised by how spacious and elegant the restaurant was. The main dining room had high open ceilings to the second floor and the walls were decorated with an Asian floral motif. White porcelain table settings were placed on ivory linen tablecloths. There were additional dining areas upstairs and downstairs. In the main room, there were only a few tables for large groups (8+) and they were taken up quickly. Many parties sent one or two representatives to line up for and occupy tables. Service: With the initial rush of people and orders, there was definite delay in the kitchen at the start of the meal. Once service started though, the kitchen constantly pumped out dishes. 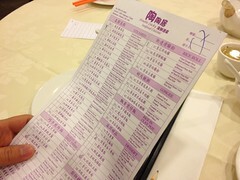 The order sheet had two columns to keep track of multiple orders. For a busy Chinese restaurant, I found service to be average, abrupt but efficient. Our tea was refilled after waving someone down and it took some time to get the bill but overall, not terrible. Food: Between 5 of us, we ordered 11 different dishes and egg tarts for dessert. Richlane made very good rice rolls, to the point where we ordered two, one with dough fritter and another with bbq pork. The plate was served with a decanter of sauce we could pour liberally to our content. The dough fritter was crispy and fresh. 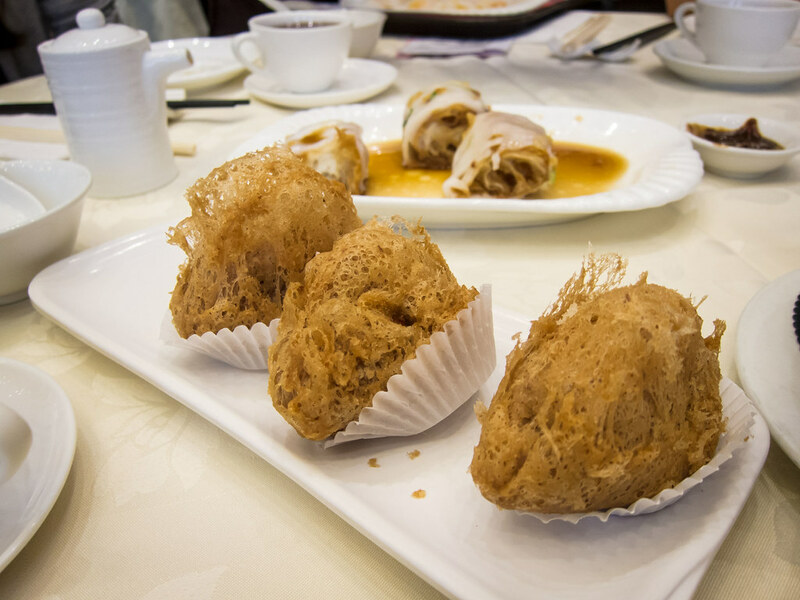 The deep fried taro dumplings were flaky, light, with a flavourful filling and the turnip cakes had a great smooth texture. 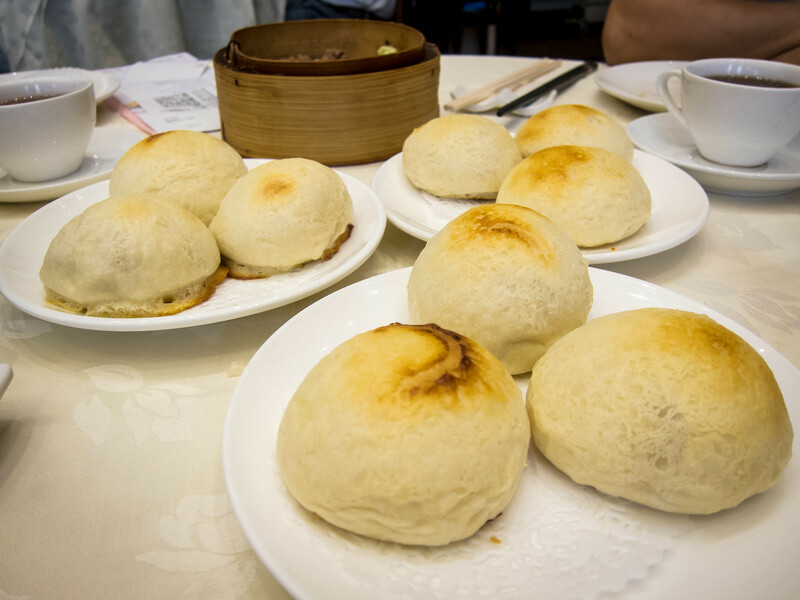 One of the main draws at Richlane are their baked BBQ pork buns. I was weary when the mostly white buns arrived but the tops were surprisingly crispy. A nice change from the regular steamed BBQ pork buns. 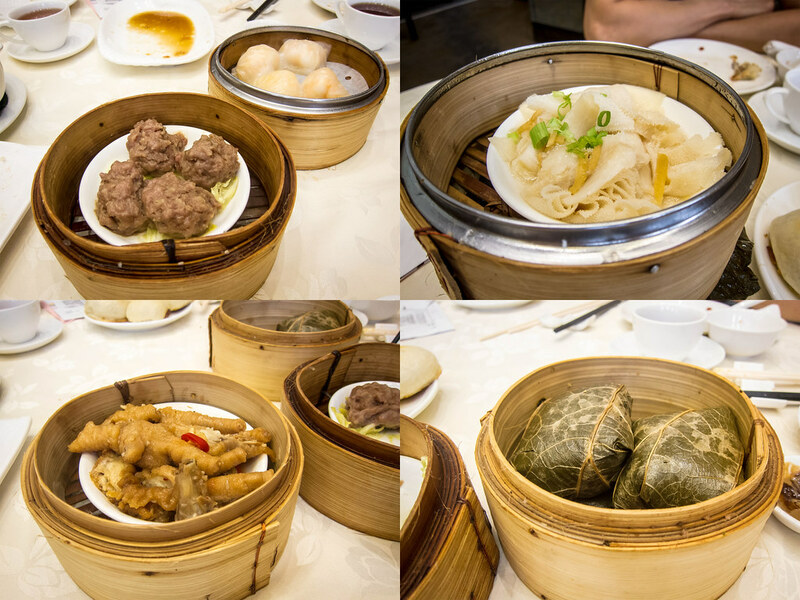 For steamed dishes, we tried the shrimp dumplings, beef meatballs, tripe, chicken feet and sticky rice wrapped in lotus leaf. 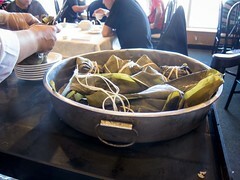 The skins on the shrimp dumpling were a touch thick and the chicken feet were under seasoned and not tender. 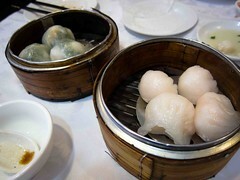 The meatballs, tripe and sticky rice were much better and on par with most dim sum restaurants in the neighbourhood. 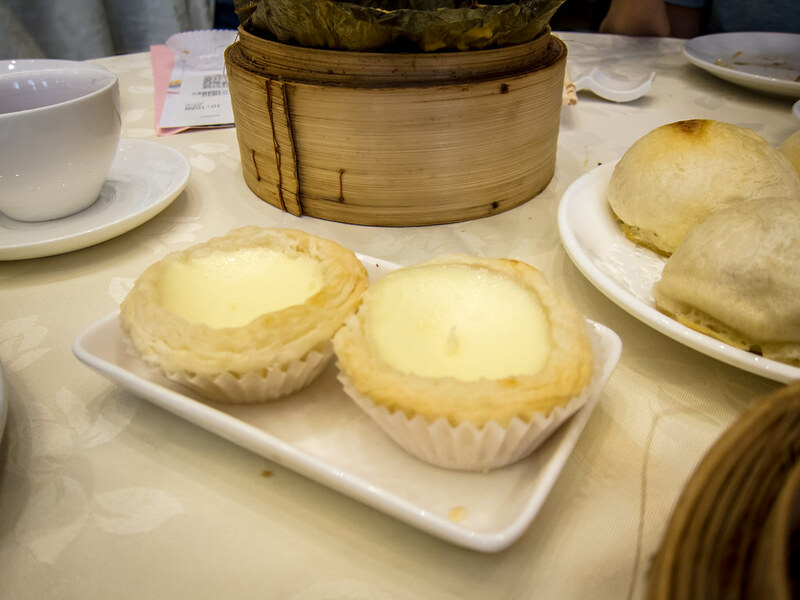 Dessert were milk egg tarts, which had less egg flavour than regular ones. The pastry was flakey but the filling had sunk quite a bit. 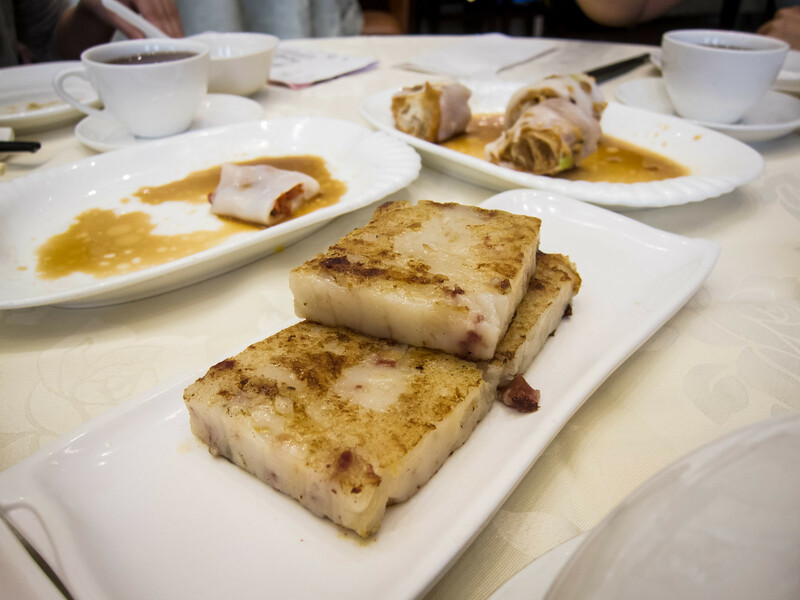 Overall, I enjoyed the majority of the dishes and can’t wait for a repeat visit, next time though I’ll be checking out the afternoon dim sum special.